As American Indian writers frequently remind their readers, storytellers wield formidable power to affect the earth and its inhabitants. This power is the same medicine power that inheres in tribal expression such as chants, prayers, and ceremonial rituals. Leslie Marmon Silko innovates literary genres to create a uniquely effective medicine power. When Silko’s Storyteller first appeared in 1981, critics were baffled by this complex text. Today it is a canonical work in the study of American Indian literature. 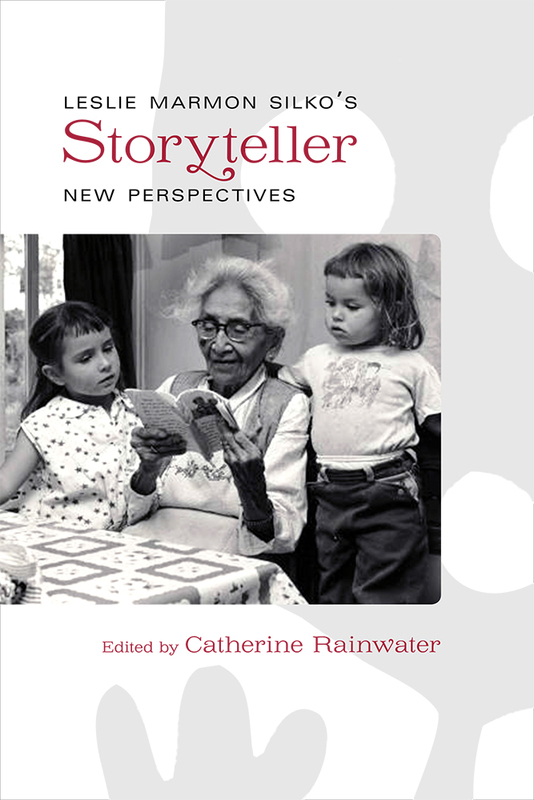 The essays collected in this book, addressing both the original edition of Storyteller and the 2012 revision, use the growth in understanding of Native American literature in general and of Silko’s work in particular to unpack this fascinating work and its critical reception over the years. Catherine Rainwater is a professor of English in the Department of Literature, Writing and Rhetoric at St. Edward’s University in Austin, Texas. She is also the author of Dreams of Fiery Stars: The Transformations of Native American Fiction and the coeditor of two books, Contemporary American Women Writers: Narrative Strategies and Figuring Animals: Essays on Animal Images in Art, Literature, Philosophy, and Popular Culture.